Even when she’s down the pub drinking her beer, Gloria Metrick can’t stop thinking about informatics. Sitting in my local brewpub, I happened to look out at their tanks and saw their brewing personnel writing on clipboards that were hanging on the tanks. They were tracking information about what went in the tank and when, as well as a few measurements of the material in the tank, such as gravity and pH. This is a step up from homebrewers, who tend to use paper notebooks for their brew information. This is the extent of their scientific data systems, except perhaps for a few spreadsheets. As breweries grow, they start using more formal methods and software. Their instrumentation changes and becomes more complex, opening up the prospect of instrument integration. We can use Bell’s and The Boston Beer Company (BBC) as two examples. In the USA, Bell’s and BBC are considered ‘craft brewers,’ meaning that they can produce no more than six million barrels (7.04 million hectolitres) per year. They are currently among the ten largest craft brewers in the United States. BBC markets its beer under the ‘Samuel Adams’ brand and produced around 4.1 million total barrels in the last fiscal year. Bell’s, which is based in Kalamazoo, Michigan, produced 318,000 barrels last year, and its limited edition ‘Hopslam Ale’ is very popular among craft beer drinkers and sparks a peak of demand at its seasonal release. These two companies are both relatively large compared to most brewers — but they are not yet among the largest brewers worldwide, where the ‘macro’ brewers do the same volume in a few days that these craft brewers would do in an entire year. A basic example of how growth changes measurements is the calculation of ABV (alcohol by volume), which is required for government reporting. Smaller breweries use a series of calibrated hydrometers and thermometers to measure and calculate ABV. These instruments are dropped into the liquids for measurement; obviously, they cannot be integrated with a computer system. However, as breweries grow, they eventually purchase more expensive instrumentation to measure and calculate these numbers. Breweries such as Bell’s and BBC are large enough to afford an Anton Paar alcolyzer (an instrument that measures ABV, specific gravity, extracts and other parameters by NIR (near infrared)). This instrument can be integrated with a larger system and also puts out multiple readings. This is the point where many companies begin to consider interfacing these instruments with some larger system. Additionally, these companies have other instruments, such as balances, spectrophotometers, AAs, pH meters, and chromatography instruments, as well as instrument software that can be integrated. To manage the testing and all the results, Bell’s uses Autoscribe’s Matrix Gemini LIMS as well as TotalChrom from Perkin Elmer. BBC uses the LabWare LIMS, as well as TotalChrom and Waters’ Empower. Both brewers use several other types of instrument software, as well. There are some needs in brewing that are the same as in other industries, including the need to integrate systems such as LIMS, ELN, or LES with ERP (Enterprise Resource Planning) and other systems. At BBC, they also have contract brewing results to incorporate, which adds yet another level of complexity to managing the data. As in other industries, both companies need to correlate product data with other manufactured lots of similar product, and both need data for reports to regulatory agencies. Jason Gardner, quality systems administrator of BBC, points out that, with three sites to manage, getting data together for reports and making it available to all who need it is a significant issue. Also, as BBC grows, they find themselves in a perpetual state of change as they scramble to configure their systems to accommodate new products and processes At Bell’s, Luke Chadwick, senior scientist, alludes to similar issues in mentioning that the industry is growing fairly consistently at 20 per cent each year. At Bell’s, Andrew Koehring* is currently working through their Autoscribe implementation to support their continued growth. 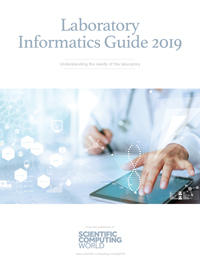 At BBC, Gardner’s job is in post-implementation but no less system work than Koehring’s implementation work for Bell’s – there is always some process or data type that could be managed by their LabWare LIMS/ELN. Testing in the brewing industry is important partly because the government insists on appropriate ABV figures. The recorded ABV must be correct within some tolerance level stated by the government body involved. Here in the United States, it is the TTB (Alcohol and Tobacco Tax and Trade Bureau); other countries have similar governmental bodies. According to Luke Chadwick, there is a great sense of camaraderie in Craft Brewing and everyone on the technical side in the industry shares the belief that ‘we’re all in it together.’ He points out that the craft brew movement is still growing. There are still potential craft brew customers in the world. If someone tries a craft brew for the first time and does not like it, they might never return to try another craft brew. Thus, every craft brew that goes out must be of top quality or it hurts the entire craft brew industry. Jason Gardner adds that quality is trickier to manage when your ingredients are natural products. When you work with natural products, the process is not as cut-and-dried as with manufactured ingredients. More adjustments are necessary in the process. Additionally, processes that do not perform to some standard are not necessarily thrown away as they are in other industries. Instead, the processes might be modified or they might be used with other ingredients in some other way. Temperature control can be a factor. As the seasons change, and the temperatures vary within the brewing plants, the process can be somewhat faster or slower than at other times during the year. Or for other reasons, fermentation can be ‘stalled’ (it stops) and might need extra testing to determine the reason and outcome. While this is an issue at some of the breweries, this is why breweries such as Bell’s maintain accurate temperature controls for their fermenters to keep the process identical, year-round. Beyond the use of unique instruments such as the Anton Paar alcolyzer, the fact that brewers use natural products makes their LIMS and ELNs needs highly specialised. According to Gardner, this is what sets his system apart from other customers he encounters when he goes to user group meetings. While other industries speak of their quality control manufacturing processes as repeatable and rigid, brewing requires quite a lot of flexibility. In fact, he says it is not uncommon to deviate from written processes in order to react to unexpected analytical findings during brewing. That is not to say they do things differently each time, but there are many biochemical and agricultural variables intrinsic to the brewing process, providing many opportunities for things to go awry. Additionally, liquid products have their own special needs: volume is not always as clear to measure as weight. Most software systems are proficient with dry measurements, but making and managing liquid measurements can be tricky. Integrating this data between systems is difficult. Chemical manufacturing however is often based on specific formulas. Brewing is probably more different than similar to liquids produced in a chemical plant, just because of the variations in the brewing process. Additionally, the varieties of yeast used in brewing require specific management and testing. Brewers add yeast strains that they want in their products, but other yeast strains can grow on their own. Some amount of testing is done to manage the desired yeast, and other testing determines the exact strains that exist in the product as well as the condition of the yeast throughout its process. This is done to keep the wild yeast strains out of the beer so that the finished product has only those strains that are desired. These breweries’ processes are now increasing the amount of data they must manage. As each brewery pushes to brew fresher and fresher beer, this means that there are more production runs, meaning more testing data. Research and development (R&D) is somewhat different for these breweries than in other industries. Bell’s is unique in that they have no R&D laboratory but instead owns a brewpub that is operated independently of the plant. If the brewpub produces beer that becomes especially popular, they let the plant know that this beer has potential for going into the larger process at the plant. Concurrently, the plant comes up with its own new products for packaging. Bell’s owner, Laura Bell, works with the head brewer to develop ideas for products they want to try, and they just make them. Unlike the largest brewers, at Bell’s, these two people can make a decision about what to try next, and just make the trial product. At BBC, R&D work has traditionally fallen on a few shoulders, but in recent years that has changed. A new product development team works tirelessly at the company’s R&D brewery in Boston to develop new beer styles. Efforts are currently underway to deploy informatics solutions to this group as well. The rigidity of a production brewing system would not appropriately accommodate the needs of a new product development group. Nevertheless, data analysis is important, so striking a balance in which new product development remains flexible, while data is retrievable is critical for success. Although Bell’s and BBC are relatively large, they still do much laboratory work manually, compared to the very largest breweries. In the pharmaceutical industry, even small companies purchase automated systems and do quite a lot of integration. However, except for the very largest brewers, manual processes and systems are still prominent in the beer industry. There are few brewers in the United States larger than the largest craft brewers, such as Bell’s and BBC. However, if these two companies continue to grow, one more issue they might need to address is that of a continuous process. Today, Bell’s and BBC view every part of production that happens with regard to the LIMS as something that happens in a tank. However, the world’s largest brewers are using continuous feeds for popular products. Sampling is somewhat different in these processes, and the concept of a material lot changes since multiple lots of material are being pumped through the pipes. This does affect the process within systems such as LIMS and ELNs. Whether beer is delivered to us in draught or packaged form, it requires proper care in manufacturing, just as other products do. While we might see craft beer production as something as an art, the consumer will not tolerate large variations in it, which means that the scientific part of the process will continue to be important to the brewing industry. * Andrew Koehring’s title on his business card is literally ‘*’ meaning that he wears a wide variety of hats.